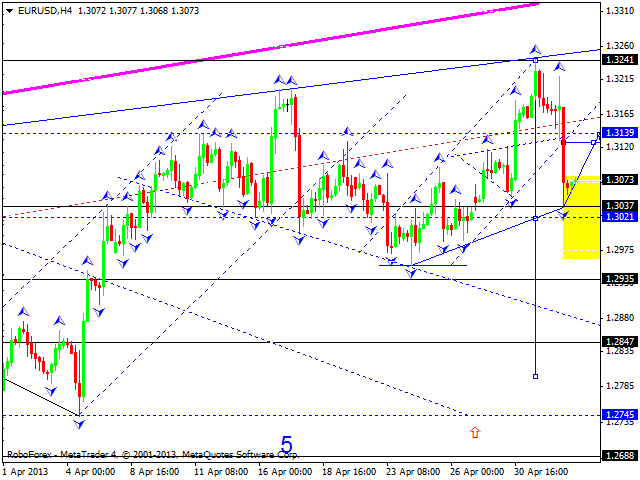 The EUR/USD currency pair completed a descending structure and reached the level of 1.3040. We think, today the price may return to the level of 1.3140 and then continue falling down towards the target at 1.2940. Later, in our opinion, the pair may start a new correction to return to the level of 1.3040 once again and then continue moving downwards to reach the target at 1.2880. 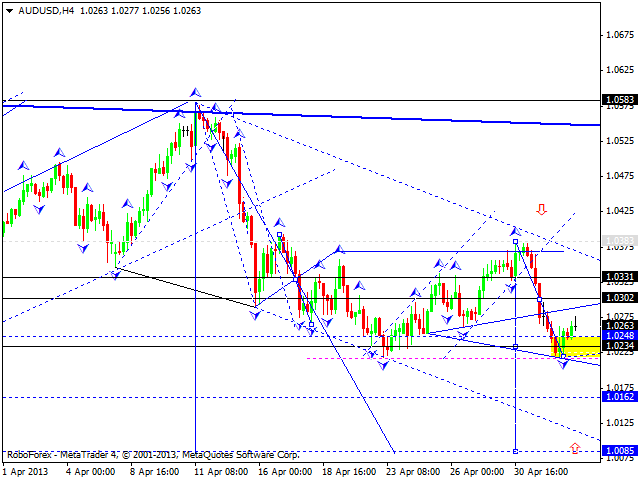 The GBP/USD currency pair completed a correction towards the level of 1.5500. 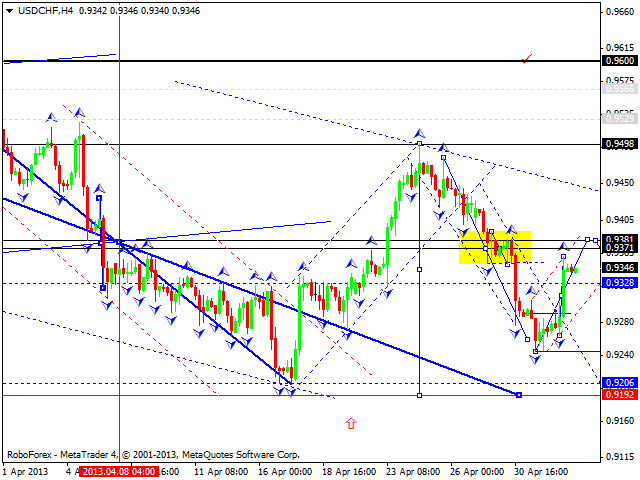 We think, today the price may return to the level of 1.5560. The structure of this movement will define future scenarios. The market may either continue growing up towards the target at 1.5615, or start a deeper correction up to the level of 1.5325. The USD/CHF currency pair completed a correction to return to the level of 0.9360. We think, today the price may grow up a little bit to reach the target at 0.9370 and then continue falling down towards the level of 0.9200. 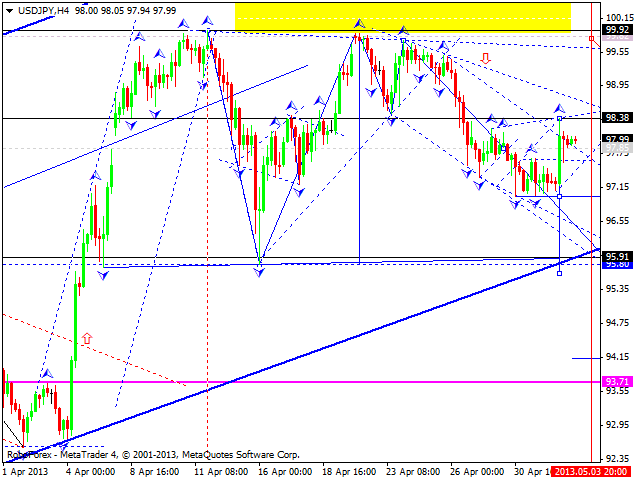 The USD/JPY currency pair also completed a correction to return to the level of 98.30. We think, today the price may form another descending structure to reach the target at 97 and then continue falling down towards the level of 96. Later, in our opinion, the pair may consolidate for a while near the level of 96, break the daily channel, and then continue moving downwards to reach the level of 93.70. Australian Dollar is trying to return to the level of 1.0300; the market is moving inside a descending structure with the target at 1.0085. Any ascending movement may be considered as an additional opportunity to increase short positions. 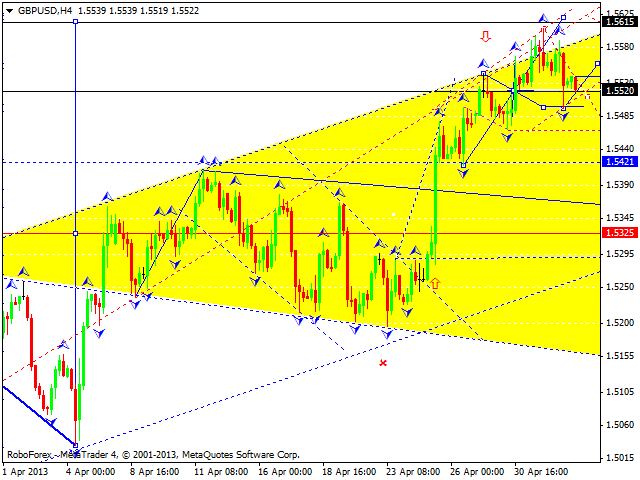 We think, today the price may form a consolidation channel to continue falling down towards the level of 1.0235. A local target is at 1.0160. Gold is forming the third ascending wave; the instrument broke the channel of the correction and continues moving upwards with the target at 1490. After reaching this target, the price may form the fourth correctional structure with the target at 1415. 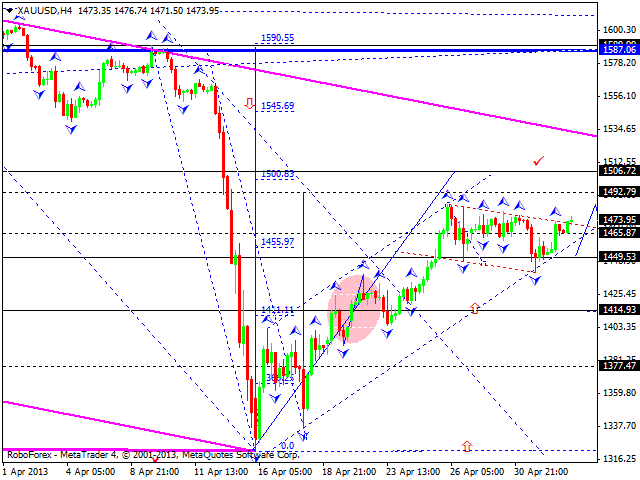 Later, in our opinion, the market may start the fifth ascending wave to reach the level of 1505.